Peppers Beach Club & Spa Palm Cove is a tropical paradise where you can explore all the glorious sights from the reef to the rainforest. Overlooking a stunning palm-fringed beach and only 20 minutes from Cairns Airport, Peppers Beach Club & Spa is set in the heart of the charming Palm Cove village. There is a selection of room choices including the spa rooms, one, two and three bedroom suites and penthouses, ocean views or lagoon and tropical garden views. The three bedroom penthouse boasts a private rooftop terrace, barbeque and private pool or heated spa. Our Serenity Wing has a selection of suites offering a private entertainment area and private rainforest pool. Lime & Peppers restaurant delivers a delightful culinary experience with beautiful ocean views while the Lobby Bar and swim-up pool offer relaxed options. 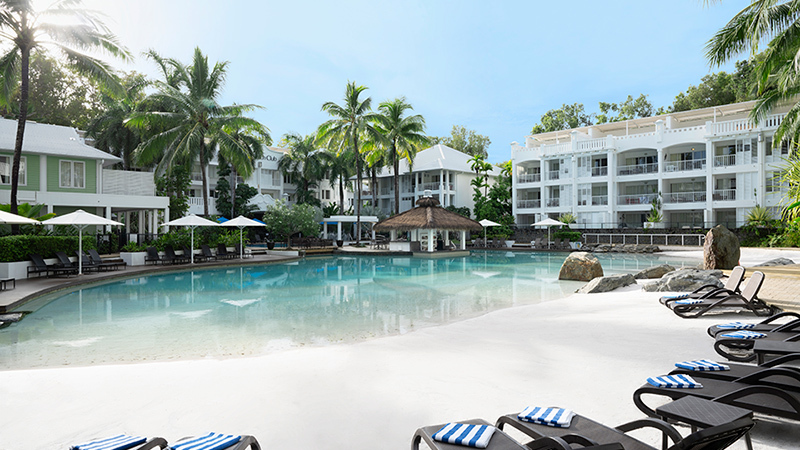 Leisure facilities abound at Peppers Beach Club & Spa Palm Cove with beach and rainforest lagoon pools, a tennis court, gym and boutique shopping at your fingertips. For complete pampering and relaxation, Exclusive Spa offers a blissful experience and a range of signature massage and beauty treatments. The World Heritage listed Daintree Rainforest and Great Barrier Reef are nearby offering activities which include scuba diving, deep-sea fishing, white-water rafting, evening dinner cruises and rainforest walks. Our tour desk is happy to help organise your Tropical North Queensland holiday activities. 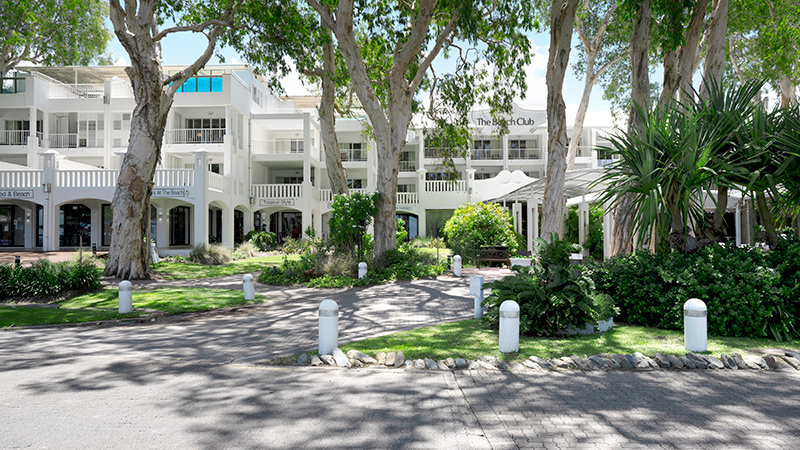 The Exclusive Spa at Peppers Beach Club & Spa overlooks the resort pool and waterfall and has a full range of spa experiences for individuals, parties and groups. Cool off in the lagoon pool with sandy beach edge. Swim up to the pool bar for snacks and cocktails. Relax around the formal pool or retreat to the rainforest serenity rock pool and fountain. All have sun lounges. 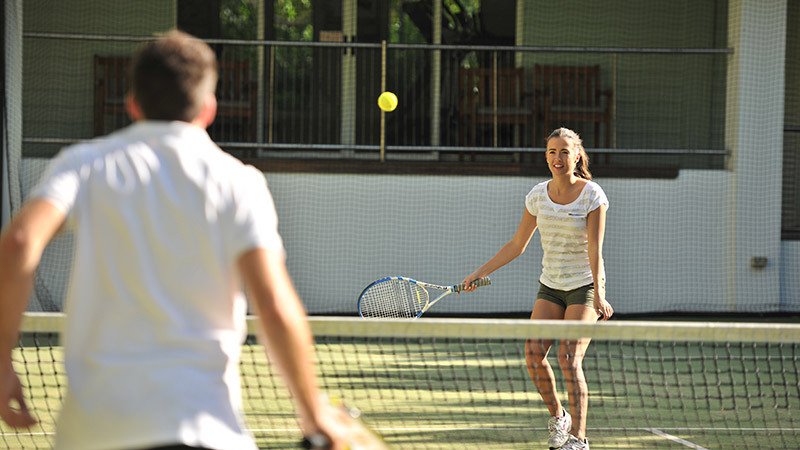 There’s a tennis clubhouse with gym facilities with a small charge for equipment hire. Open 8am - 8pm daily. On the other side of the esplanade there’s a playground with lots of things to climb, swing on, slide down and hang off. They’ll be ready for bed before you know it! 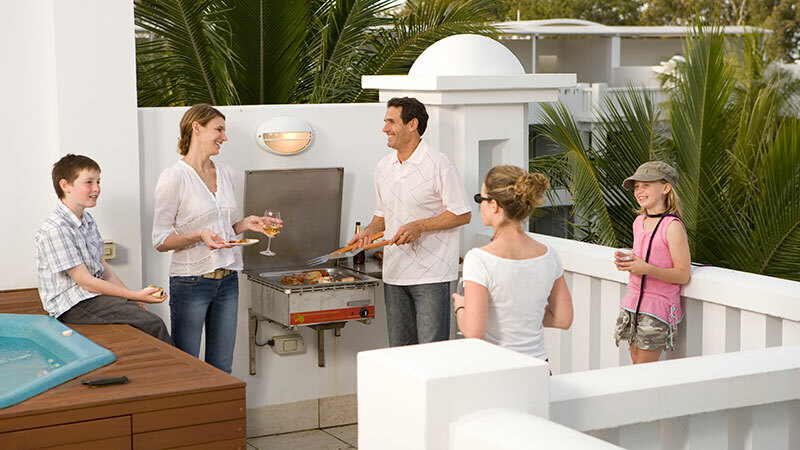 Book the rooftop terrace barbeque area and pick up a ready-to-go barbeque pack from Lime & Pepper Restaurant. Bookings at Reception. 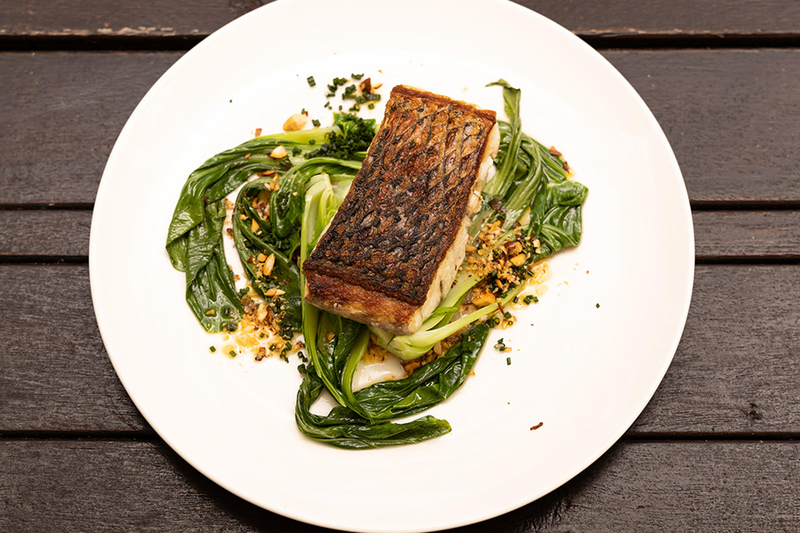 Dine on variety at Lime & Pepper Restaurant. Swim up to the pool bar for a cocktail or snack. Meet in the Lobby Bar at dusk.